I’ve got it now thru Swellnet. Still can’t get any vision of the contest on the WSL site. The ads of course work Ok. The little screen remains blank on my iPad. It’s death on a stick out there mayyt! They’re moving north for the winter. I use a 6” in my 7.2 Bonzer egg. Plenty of fin and rail to go around. That said there’s little difference between the 6, 6.5 True Ames fins. Use a 8 1/2 “ Fibreglas Fin Co Larry Allison flex (very similar to Greenough 4a) in a single fin board. Funny, I saw a McCoy in a shop yesterday. Could almost fit my hand around the rail. Pumping NE winds from 9-10am. 1-2 foot junk. The odd small pulse. So is 38 litres supposed to be a lot??? Too much?? Only asking because I don’t have a single board with litres written on it. And before one of you bastards calls me Mr Creosote I’m 182/90. Word is a “mate” wants to do a housing development and needs better access. 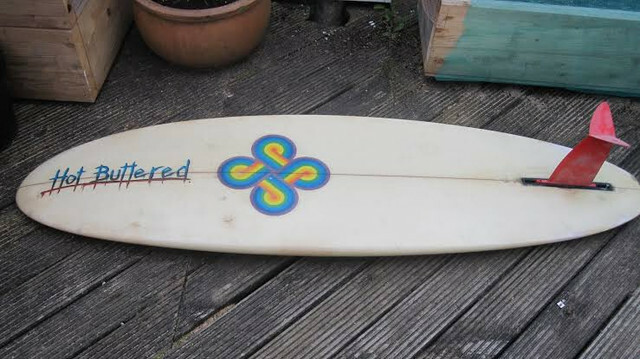 Surfed a Tolhurst tuflite a couple of times. Despite being a very nice shape, didn’t like how it went at all. If I found one on The Gumtree super super cheap, might try one again, but yeah, nah. Well I went for a body bash in clean and shapely baby food. With a handplane. And had a go on my daughters booger. The left should have been scored less for the massive poo stance before the air. 2-3 foot of howling NE wind gurgle in these parts.